For more than 2,000 years, Cambodia absorbed influences from India and China passing them on to other Southeast Asian civilisations that are now Thailand, Vietnam, and Laos. The Khmer Empire flourished in the area from the 9th to the 13th century. Around the 13th century, Theravada Buddhism was introduced to the area through monks from Sri Lanka. From then on Theravada Buddhism grew and eventually became the most popular religion. The Khmer Empire declined yet remained powerful in the region until the 15th century. The empire’s centre of power was Angkor, where a series of capitals was constructed during the empire’s zenith. 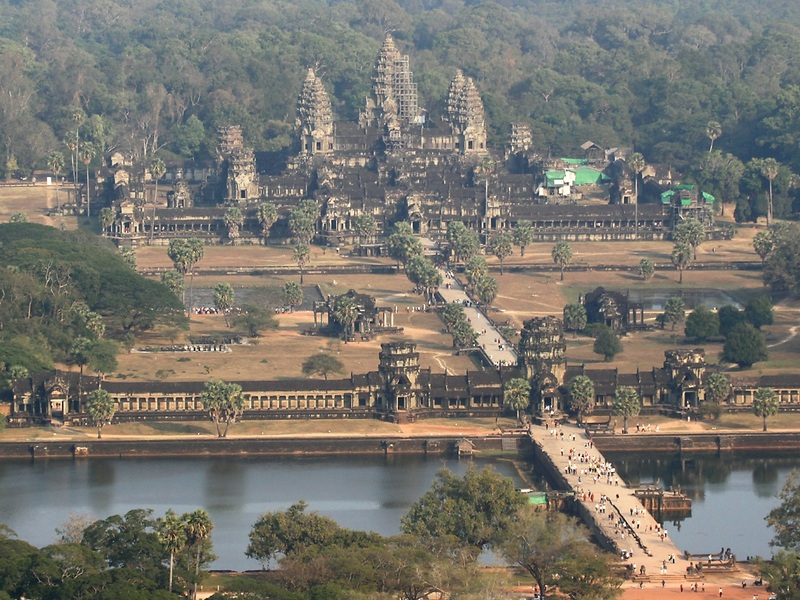 Angkor could have supported a population of up to one million people. Angkor, the world’s largest pre-industrial civilization, and Angkor Wat, the most famous and best-preserved religious temple at the site, are reminders of Cambodia’s past as a major regional power.